The Northern Burlington Instructional Athletic Association (NBIAA) provides a youth recreational league structured for the member townships and organizations in the Northern Burlington area, including Chesterfield, Mansfield, North Hanover, Springfield, McGuire AFB, Bordentown Township and Bordentown City. 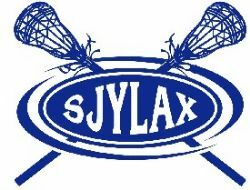 South Jersey Youth Lacrosse, a 501 (c)(3) organization was founded in 2004, as the governing body of boys and girls lacrosse in South Jersey. South Jersey Youth Lacrosse currently has 14 town programs with over 2000 boys and girls players and looks forward to fostering the continued growth and success of lacrosse in South Jersey.